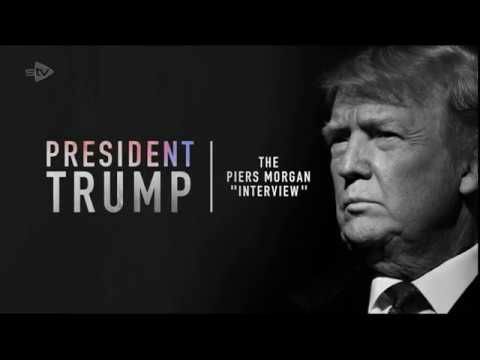 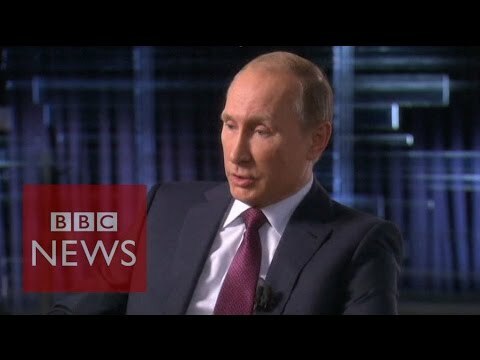 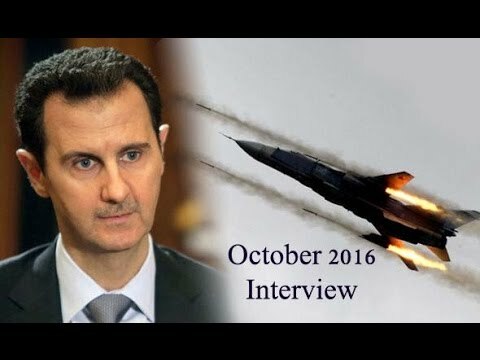 Bashar al-Assad interview with Russian news outlet | October 12th 2016 |. 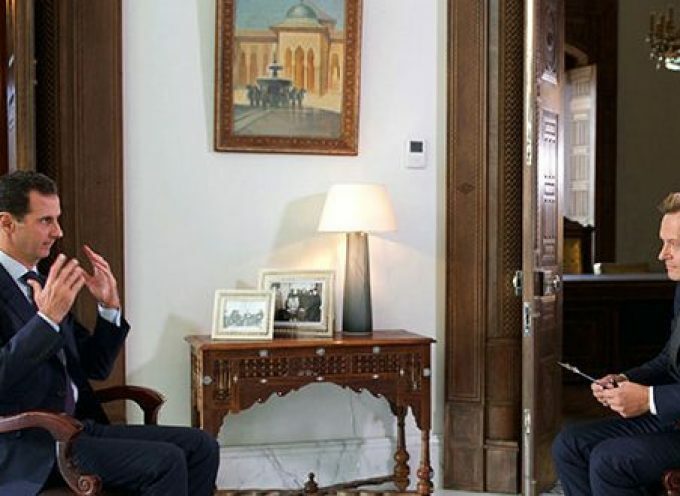 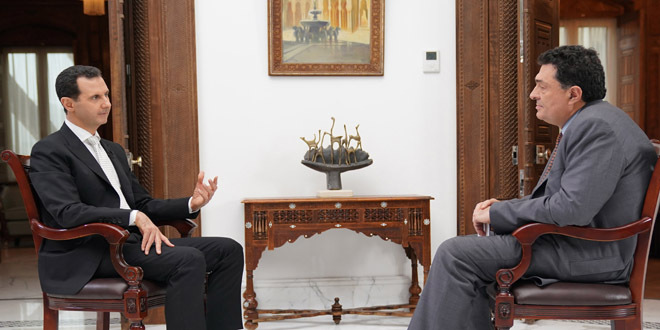 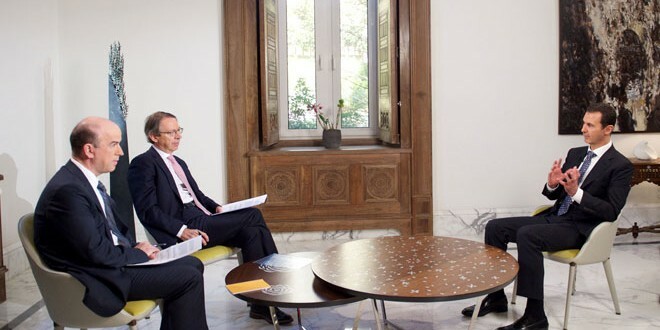 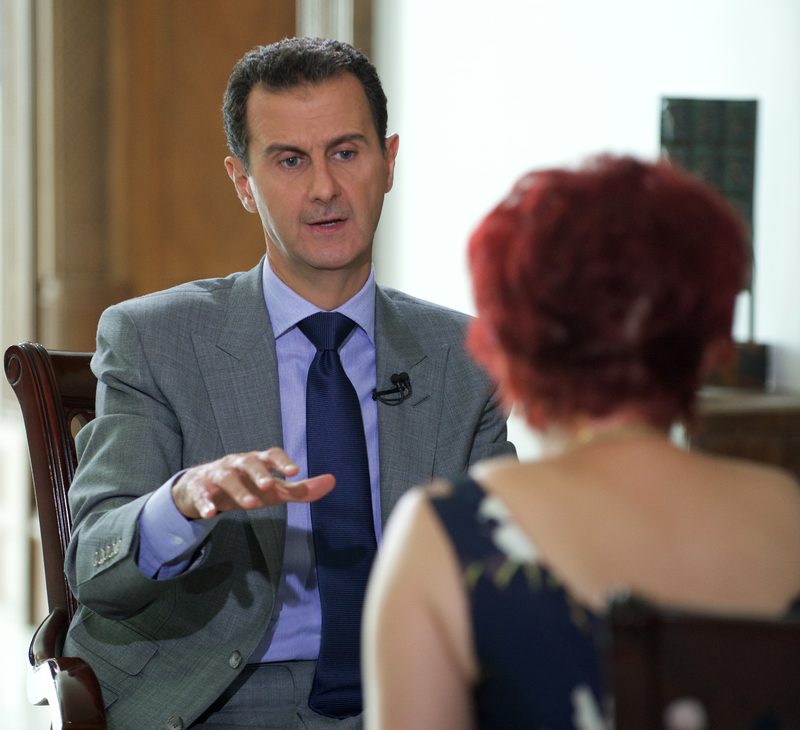 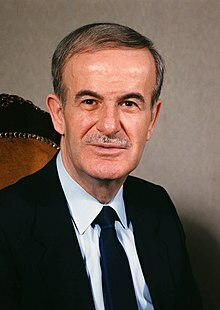 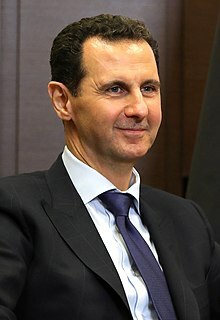 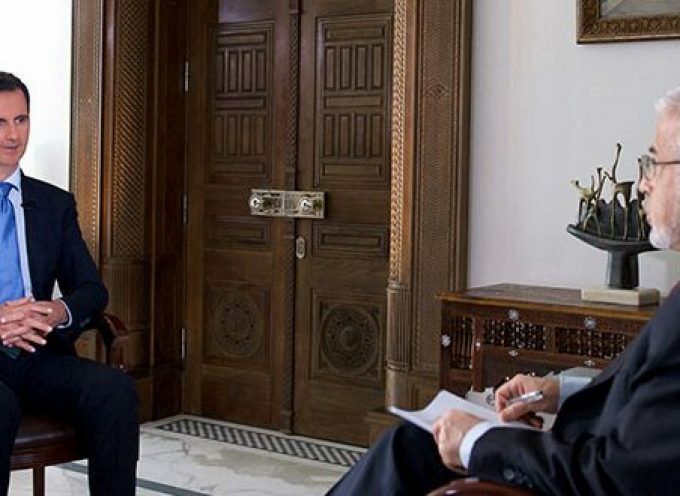 Bashar al-Assad during the interview in Damascus on Saturday. 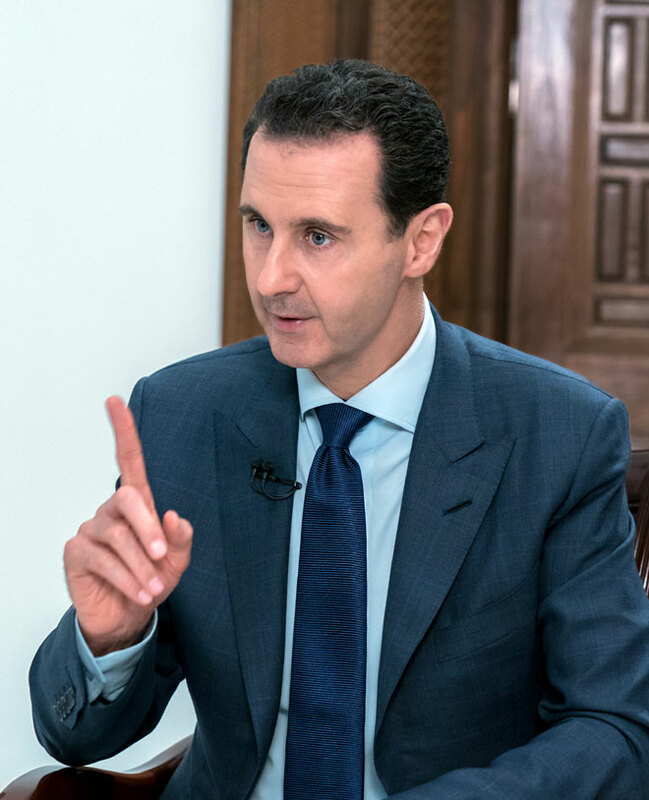 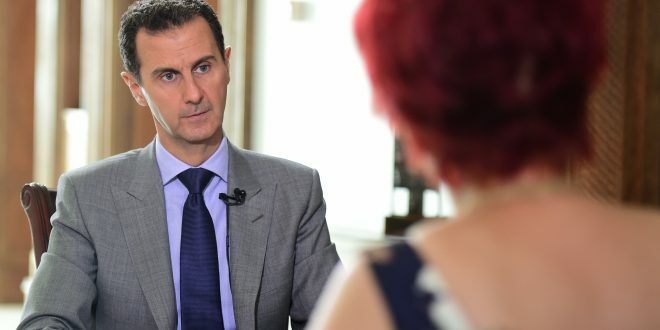 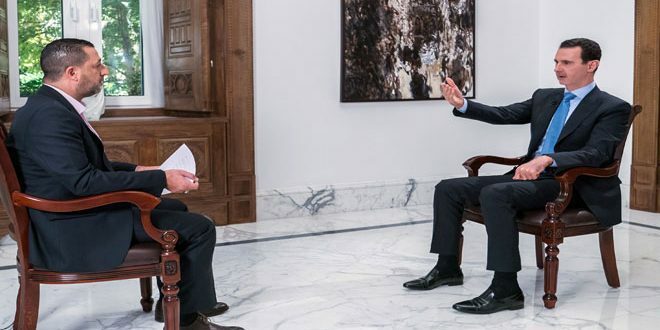 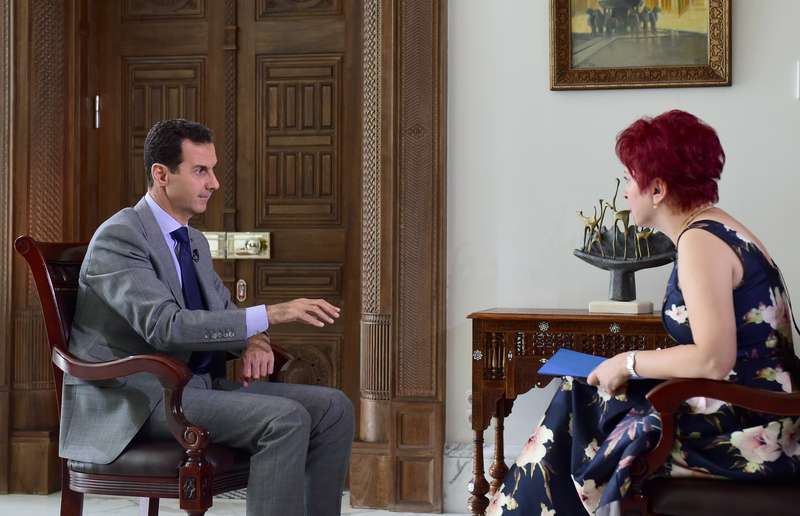 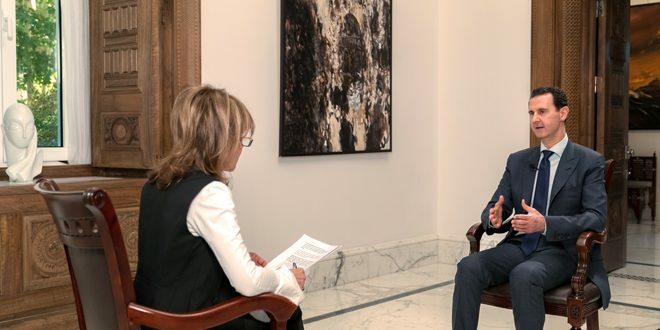 On October 12, the President of the Syrian Arab Republic Bashar al-Assad gave an interview to reporter of “Komsomolskaya Pravda” Daria Aslamova. 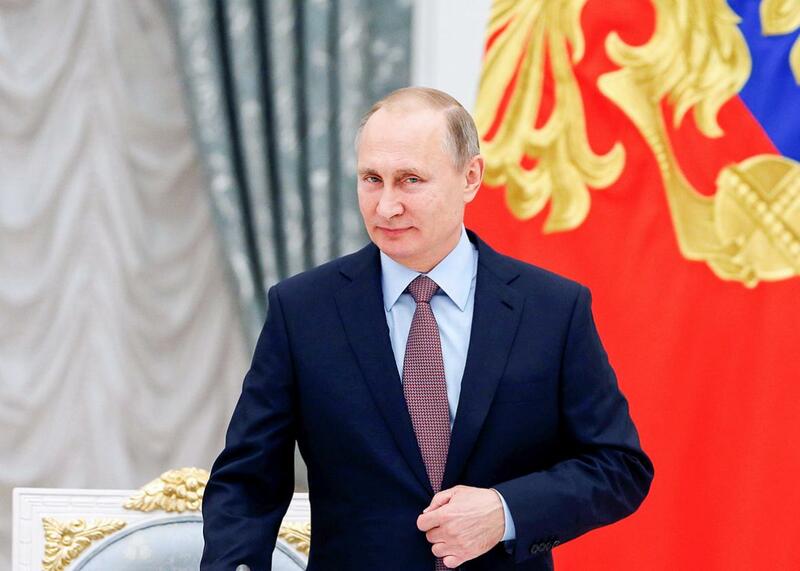 Russian President Vladimir Putin is seen on the viewfinder of a camera during his annual end-of-year news conference in Moscow, Russia, December 23, 2016. 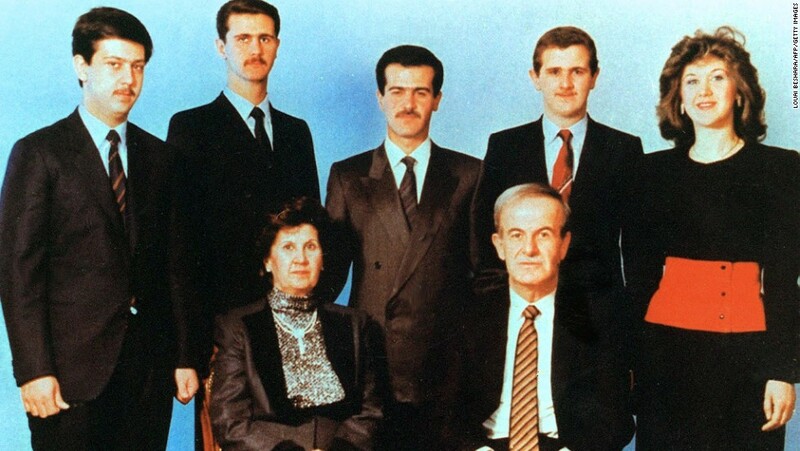 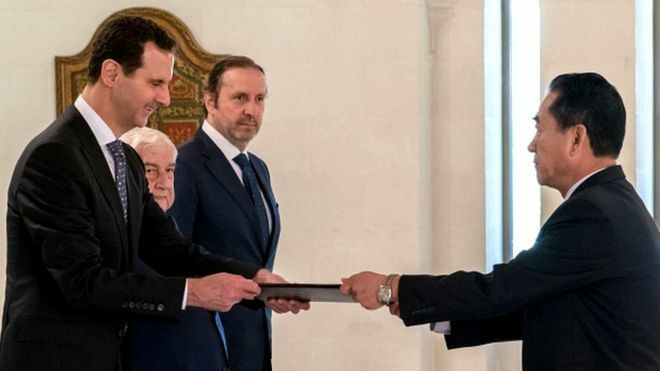 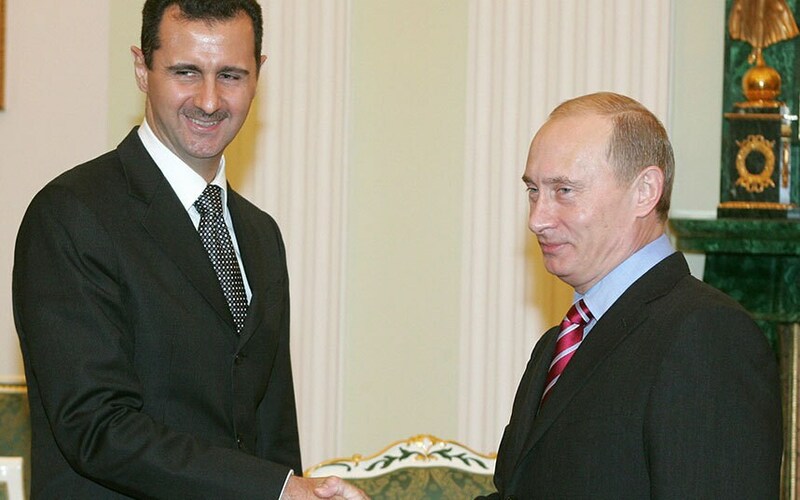 Bashar al-Assad and Dennis Kucinich with a Russian flag background. 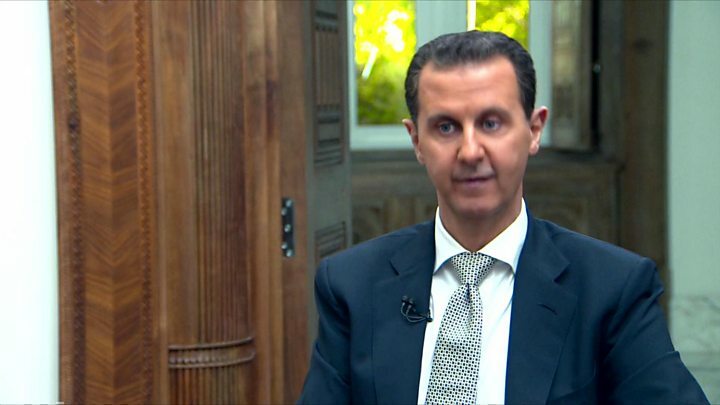 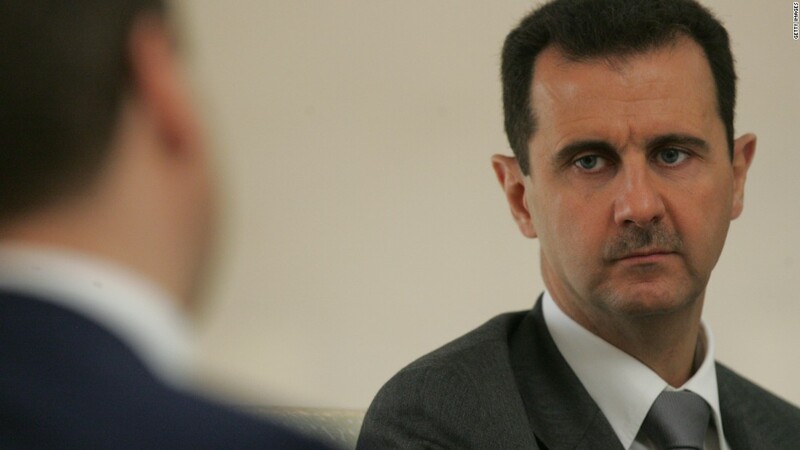 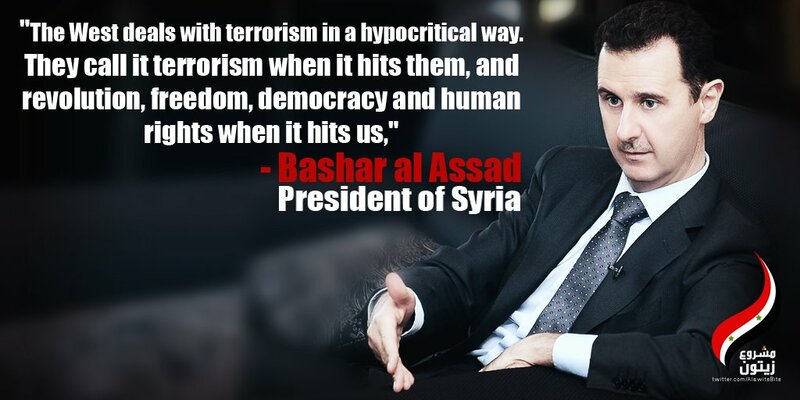 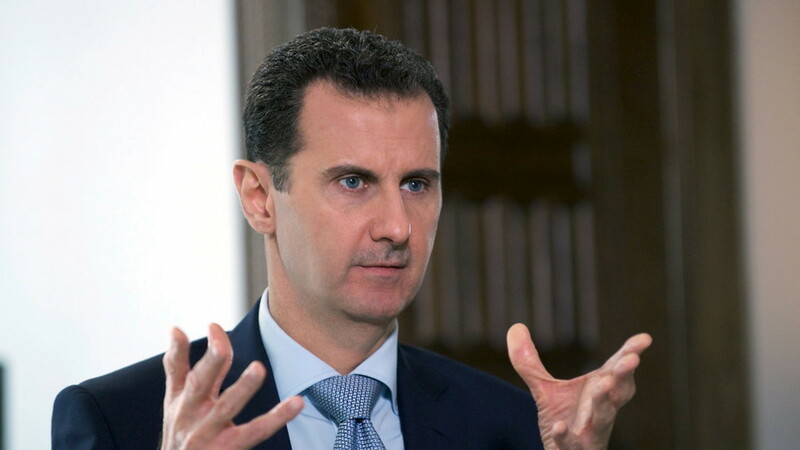 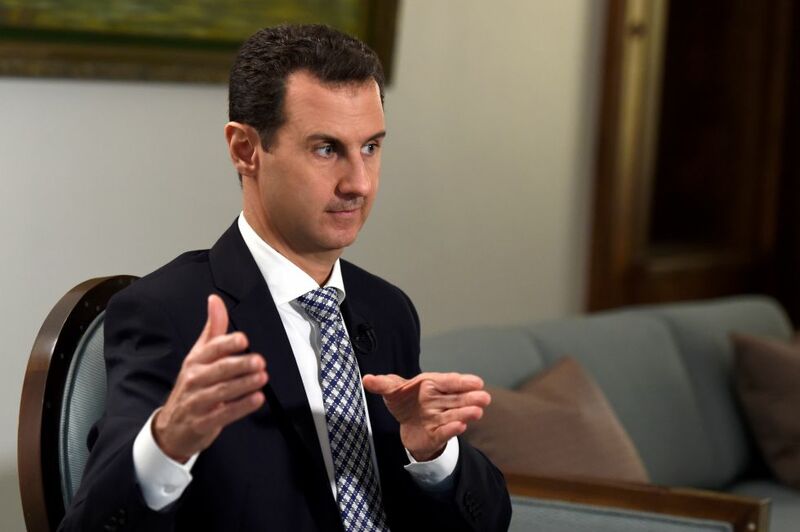 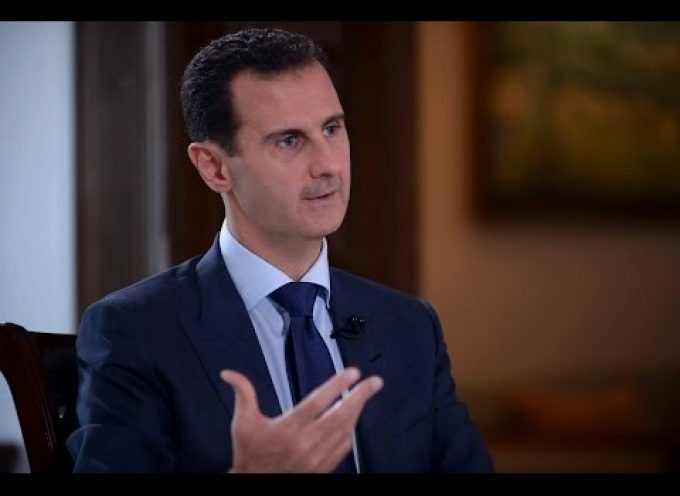 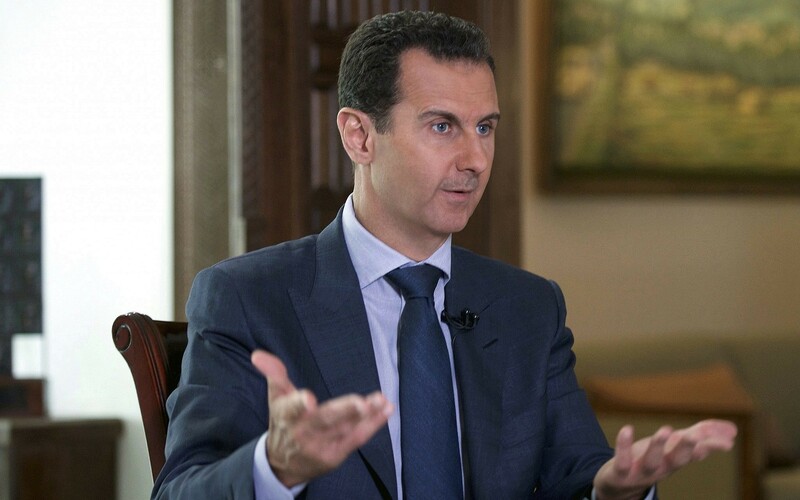 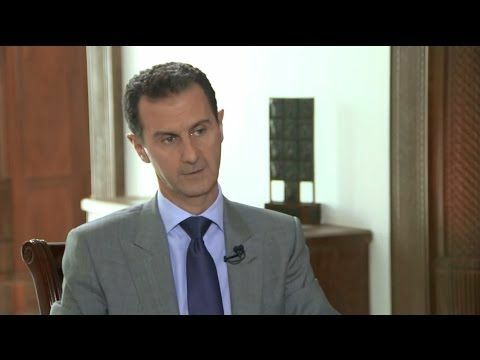 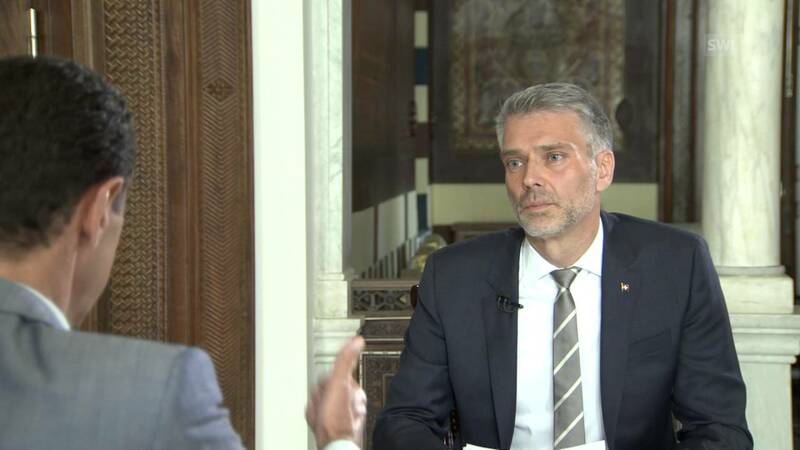 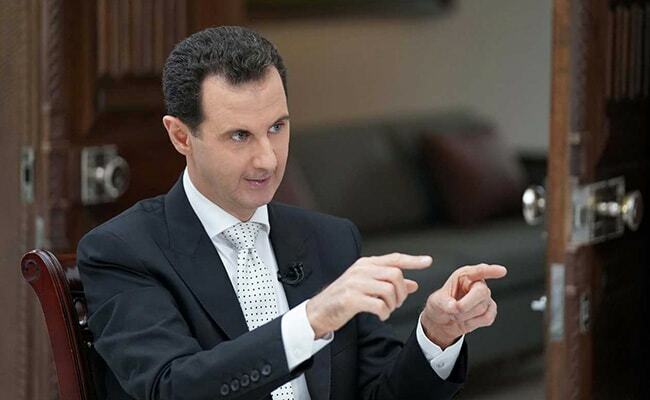 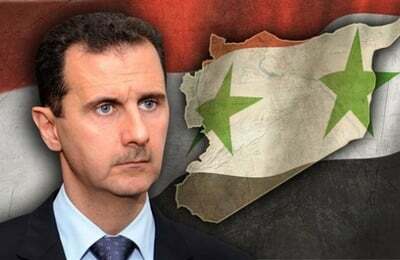 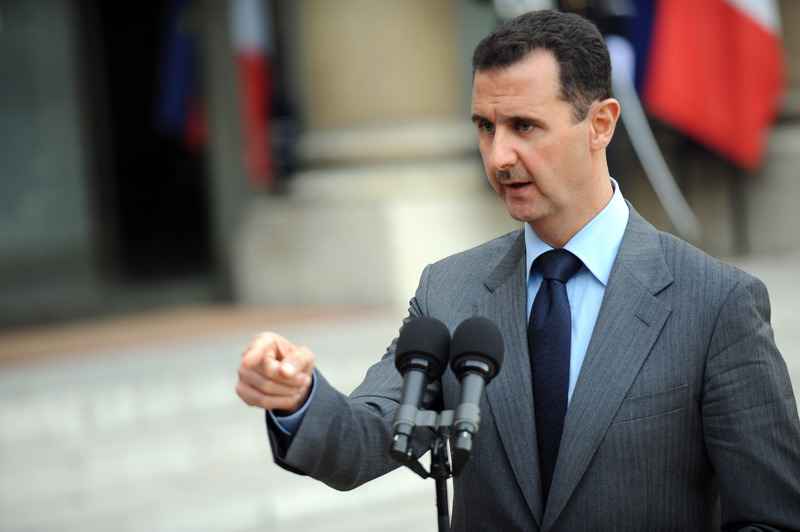 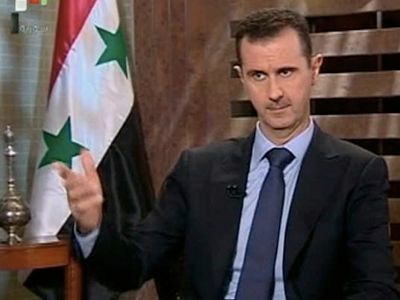 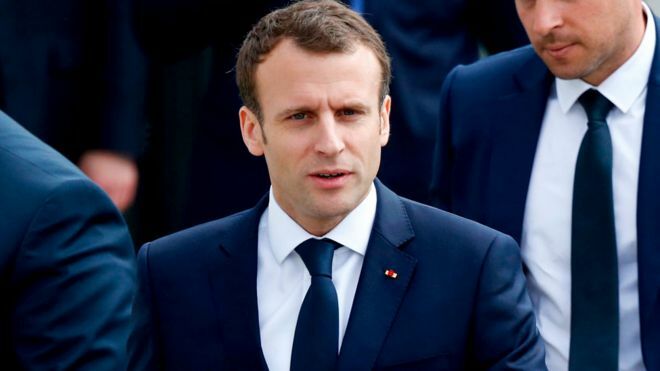 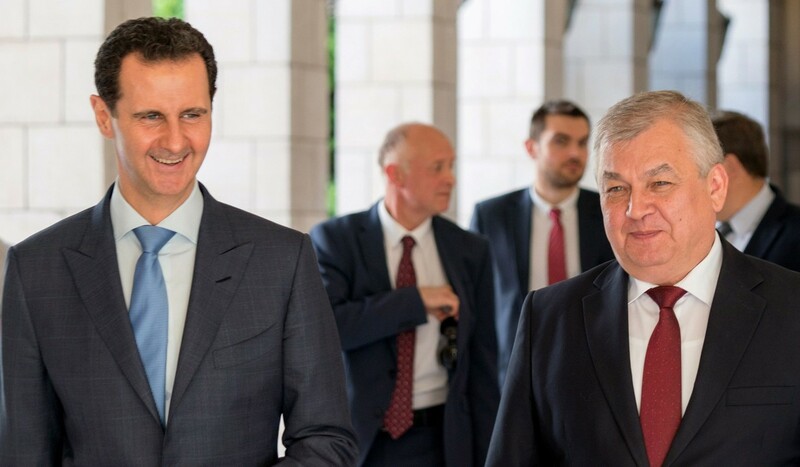 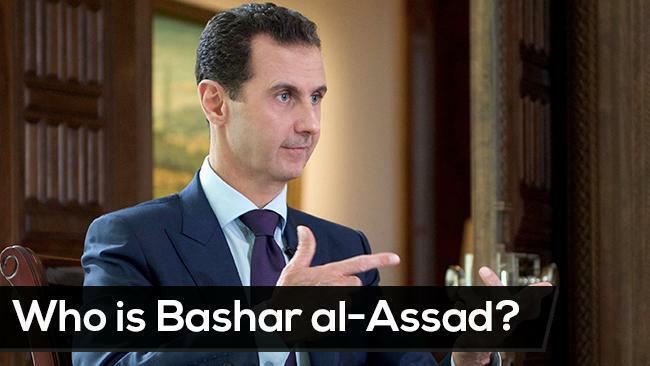 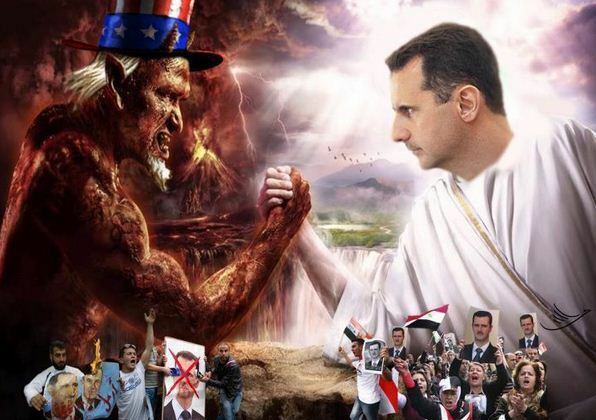 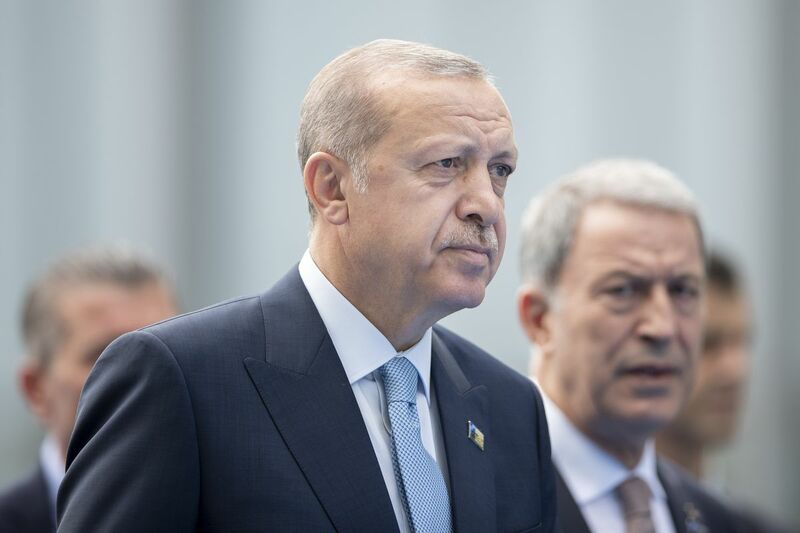 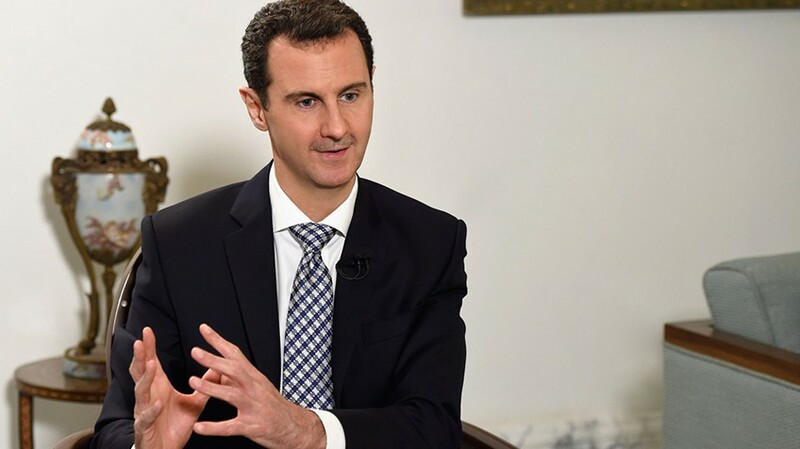 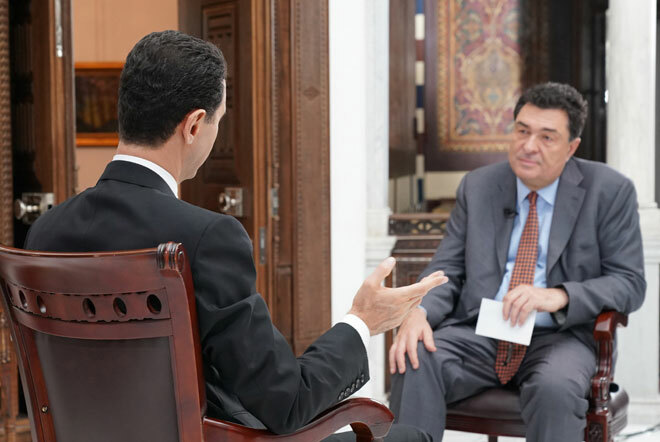 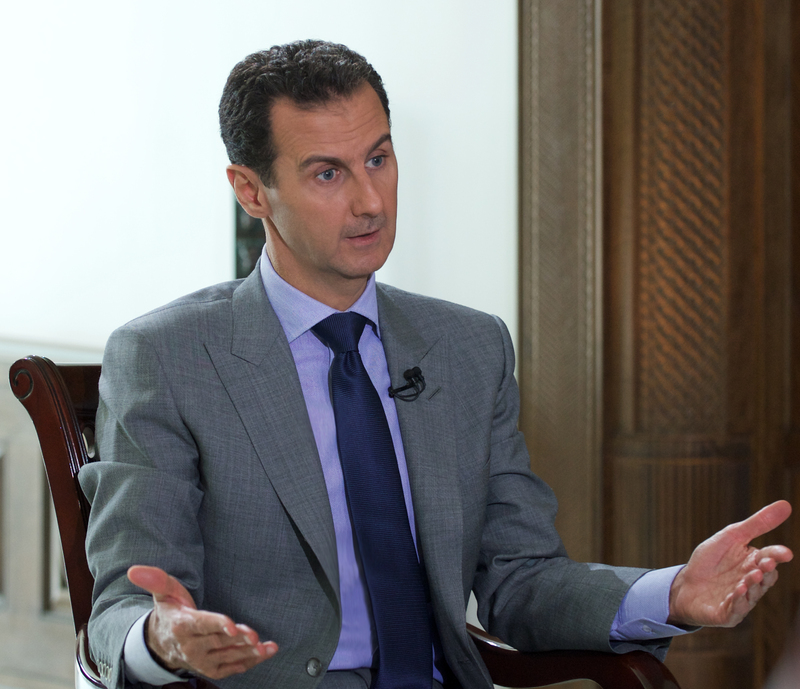 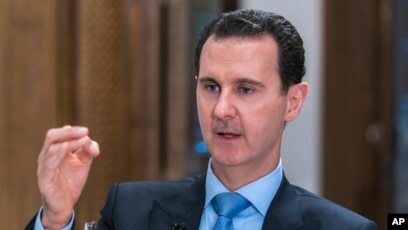 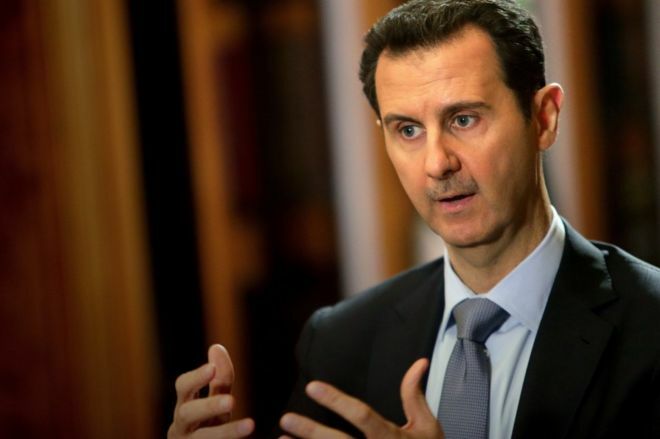 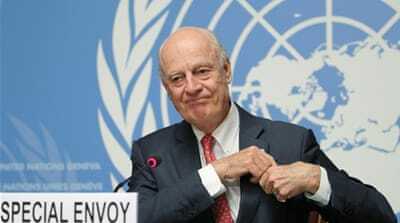 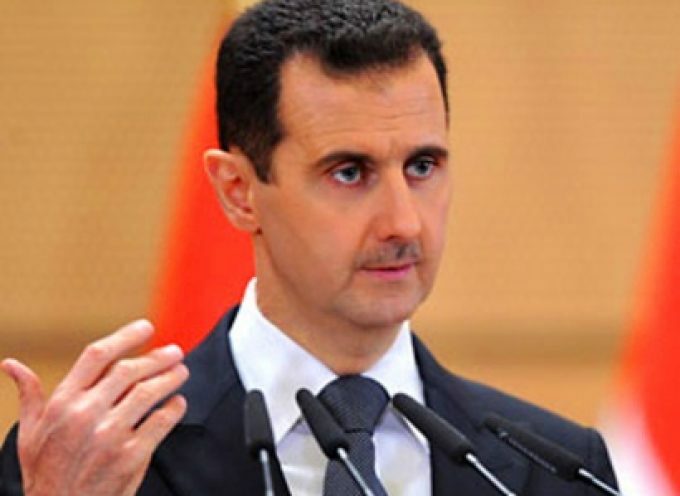 Bashar-al Assad, speaking in an interview approved by the Syrian presidency: "A 100%... 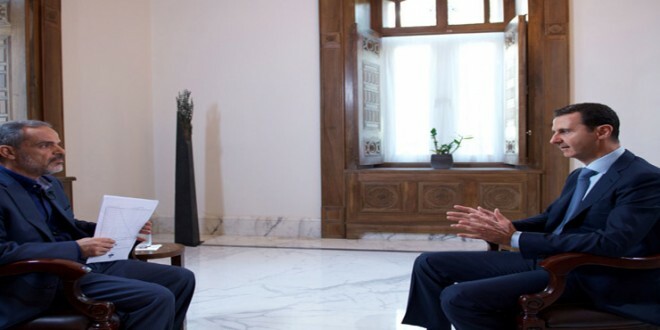 fabrication."